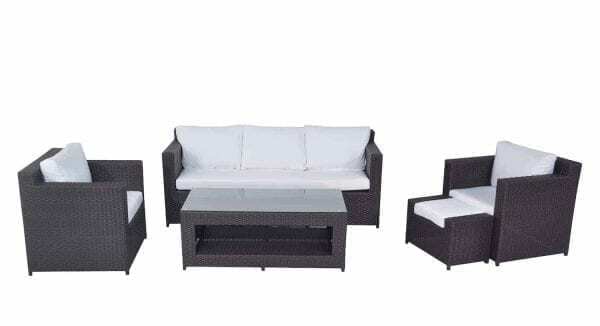 You are looking for outdoor lounge furniture, a conversation set, outdoor sofa or a bistro set for your garden, terrace or patio. 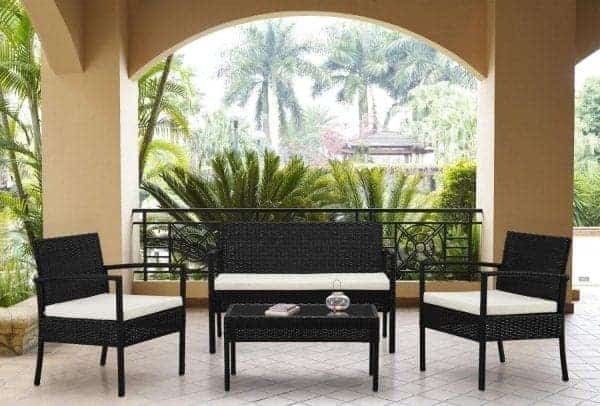 You prefer modern European designs and want to just enjoy your space outside. We have it all right here. 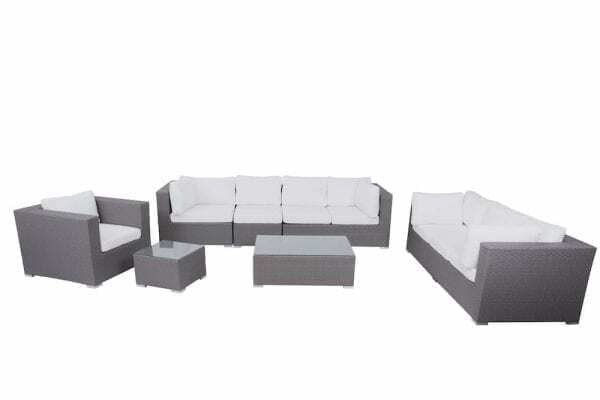 And as an online retailer, we are able to offer furniture at very competitive prices. 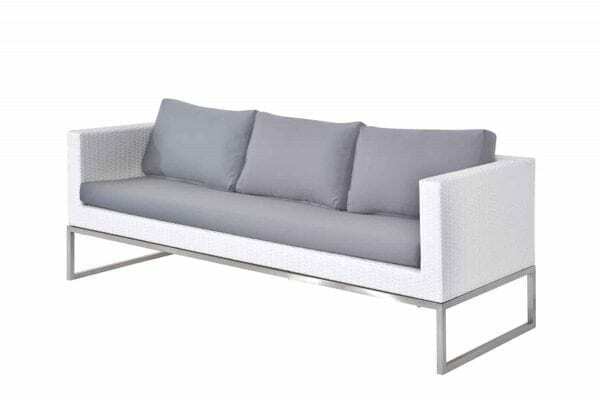 Velago Stands For Modern Patio Furniture In Canada. How Do We Make Sure To Bring The Latest Designs To You? Having our hands on the pulse of the market means visiting the largest fairs and exhibitions worldwide, being plugged in with influential European furniture designers and keeping in touch with our lead customers. We strive to explore and incorporate cool new trends into our collection. All our sets are produced to fulfil your needs for high quality. The immediate contact with our manufacturers helps a great deal in the quality assurance process. 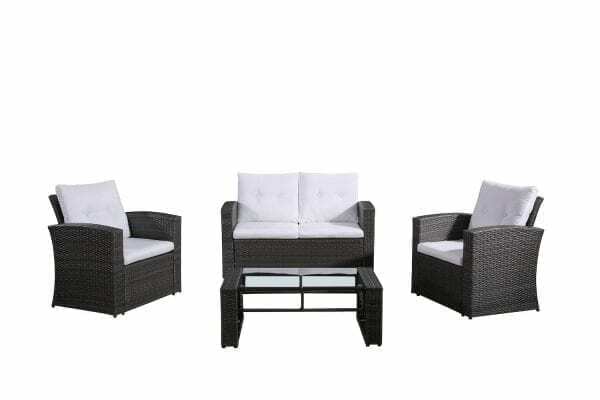 Our team works hard to ensure our tight quality guidelines are met, making sure we can provide you with outdoor furniture that lasts in the at times harsh Canadian weather. 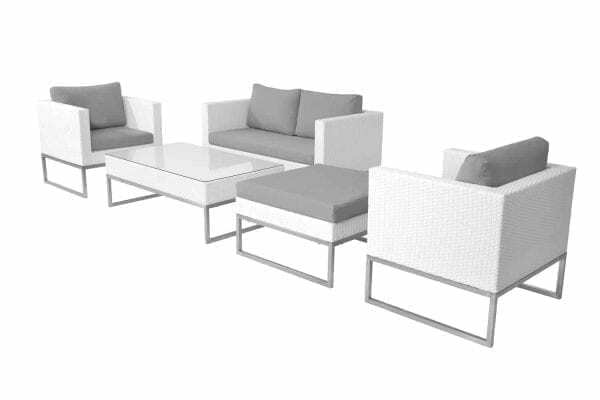 Velago outdoor conversation sets are made from durable materials that are resistant against sunlight and water. 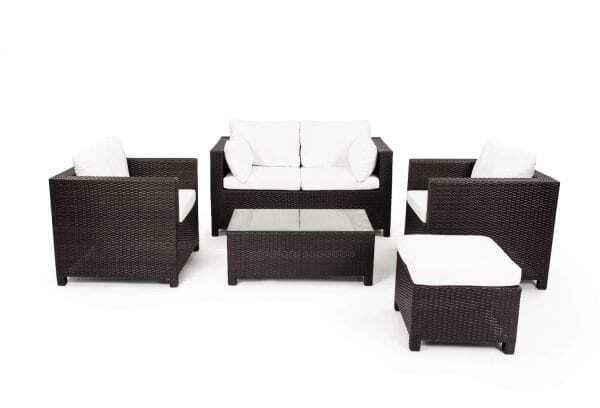 Most of our products are made with all-weather wicker. As a plastic, it is practically maintenance free; no painting or varnishing needed. A damp cloth will do for cleaning. Our powder-coated aluminium frames are 100% rust-free and made in a cage-build for high stability. 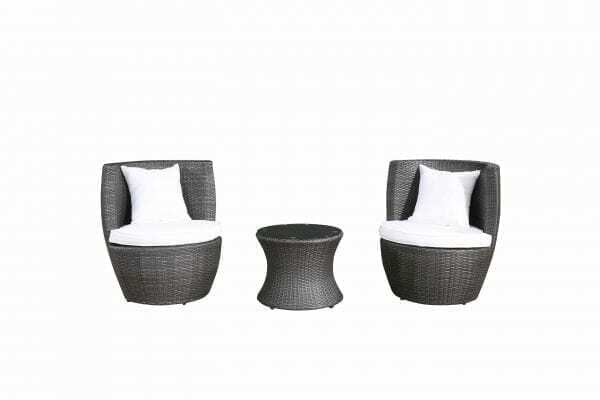 To make sure, we can offer great prices throughout, we offer most our furniture in sets only. In most cases they come pre-packaged with a specified colour of cushion covers. These slip covers are removable, so they can be changed and washed. For most sets, we do have cushion covers in other colours available. 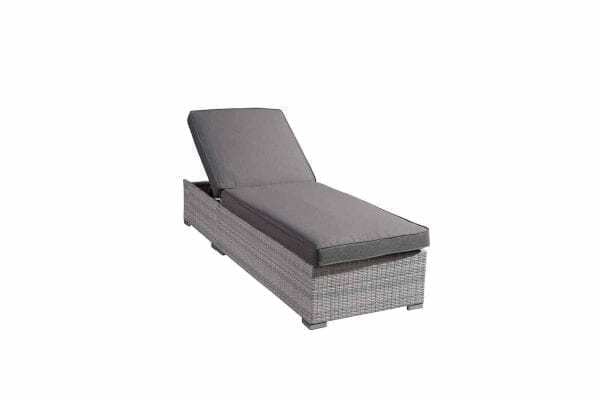 The ASCONA for example, comes in dark grey coloured wicker and off-white cushion covers. A set of covers in grey or beige is available at an extra cost. 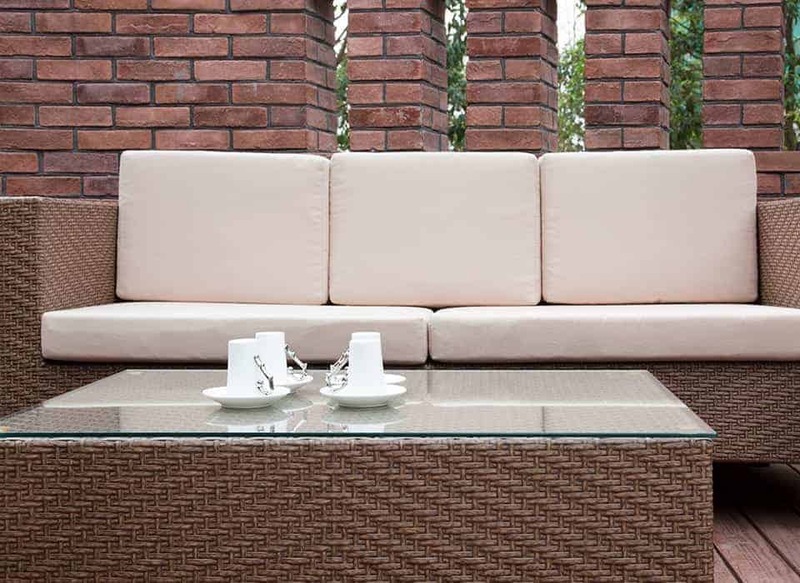 All cushions are treated with liquid resistant coatings, so spills can be easily wiped off. Browse our conversation sets, to find your ideal match! Wherever in this great country you live, we are able to send the furniture right to your door from one of our Canadian warehouses. We attempt to have our full collection permanently in stock, so there is usually no extra wait time for our customers.